As I’ve said before, music is a big part of my creative process. Another one of the scores that’s been a staple of my playlist is the score for 300. Tyler Bates has a rather impressive filmography. The first I heard of him (that I knew) was for 300. After seeing the movie, I headed straight to the store and bought the CD. Since then I’ve heard his work elsewhere, and I’ll get more of it. 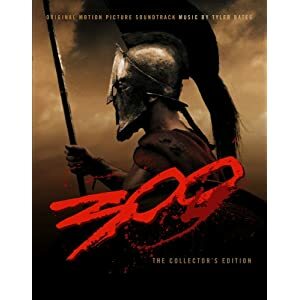 “300” is a powerful soundtrack that works great for writing aggressive scenes. It’s a driving music that gets the blood flowing. Regardless of what I’m working on–regardless of the tone–“300” is great inspiration.